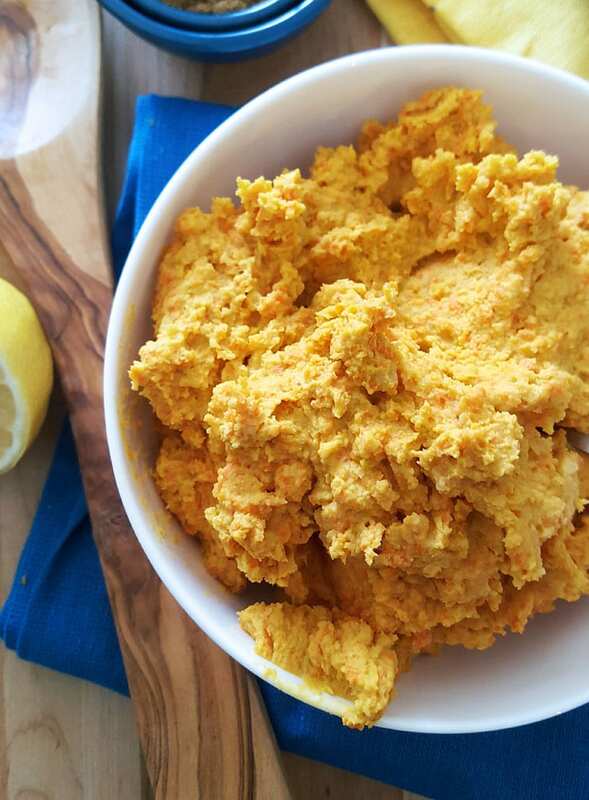 Roasted Carrot Hummus | an easy and delicious way to eat more veggies! We could all use a little more hummus in our lives, am I right? 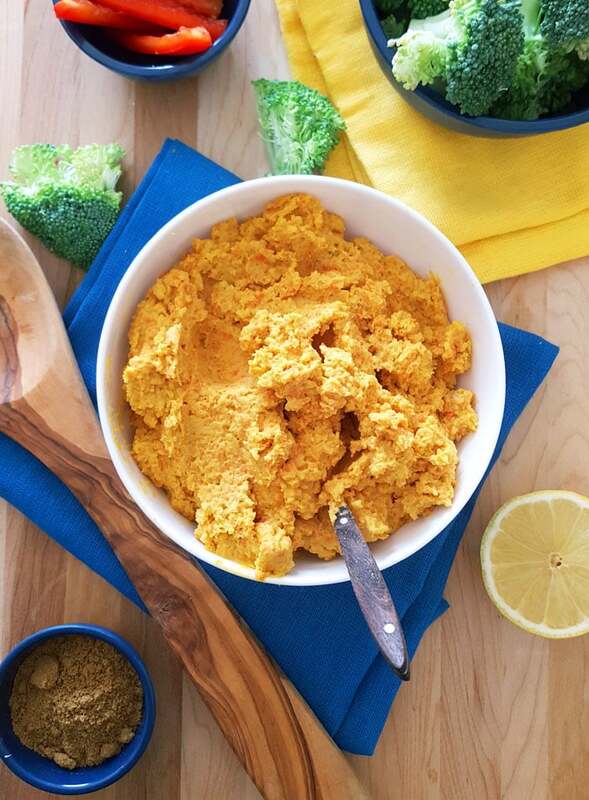 I’ve made hummus of just about every variety, from avocado, to edamame, kale and spinach, but I’ve never made a roasted carrot hummus until now and I’d have to say it might be my new favourite! 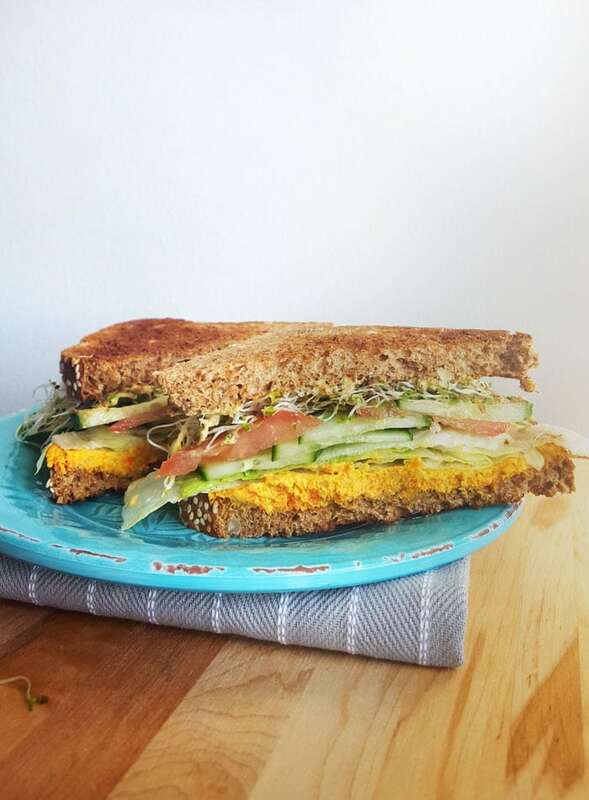 It’s a little sweet and a little savoury and pretty much gold on your favourite sky-high piled veggie sandwich. Isn’t it beautiful in there? I had a ton of carrots to use up the other day and this was the perfect way to use them. Roasting the carrots first gives the hummus a beautiful, sweet and rich flavour that combined with cumin, lemon, tahini and garlic is just perfect. High in protein, fibre and vitamins make a batch to keep on hand for a healthy and tasty snack option. This is really easy to make too. 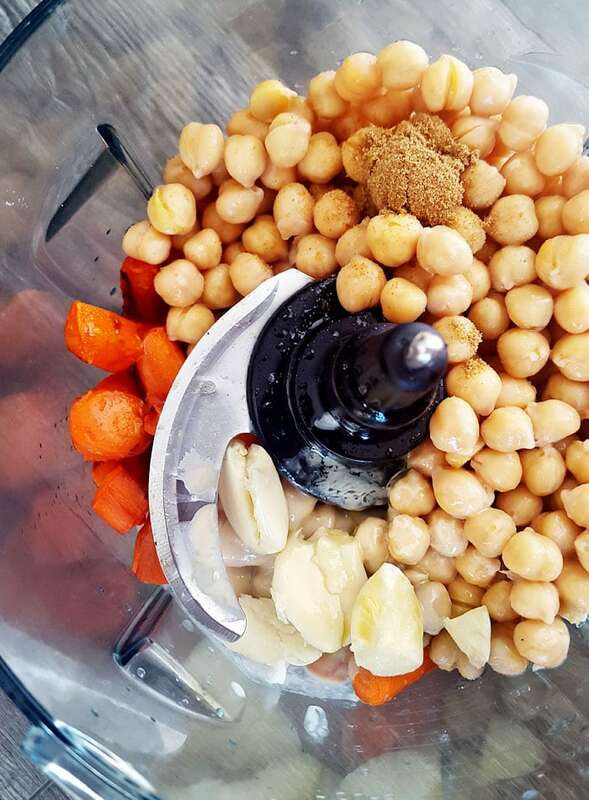 Just toss the carrots in a little oil, roast until tender and then blend up with your typical hummus ingredients: tahini, olive oil, lemon and chickpeas. I added in cumin for an extra punch of flavour that pairs beautifully with the roasted carrots. 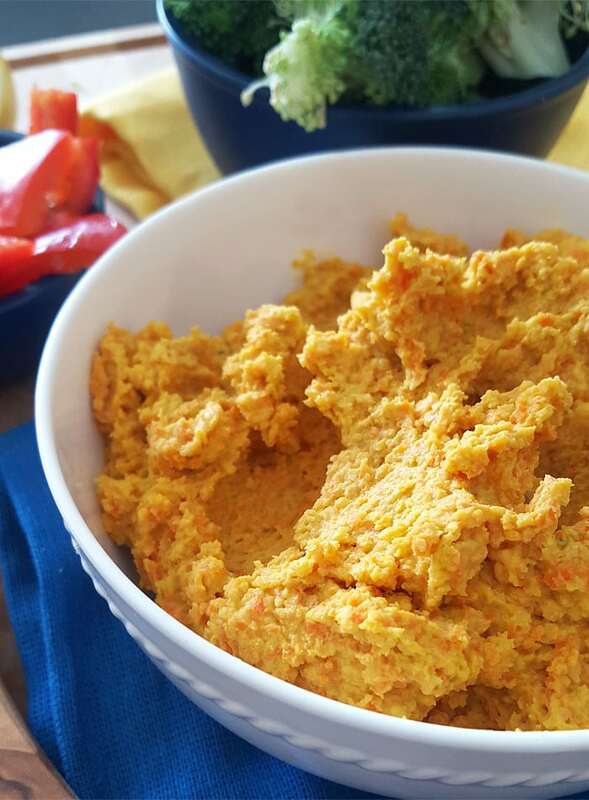 This roasted carrot hummus is a great way to use up carrots plus it’s packed with nutrition and flavour and high in protein and fibre. Try it as a spread in a loaded veggie sandwich or wrap or a dip for raw veggies! Place the carrots on a pan, drizzle with the 1/2 tsp of olive oil and roast at 400 degrees for about 20-25 minutes, until they’re tender and starting to darken. When the carrots are ready let them cool down a bit then add to a food processor with the rest of the ingredients. 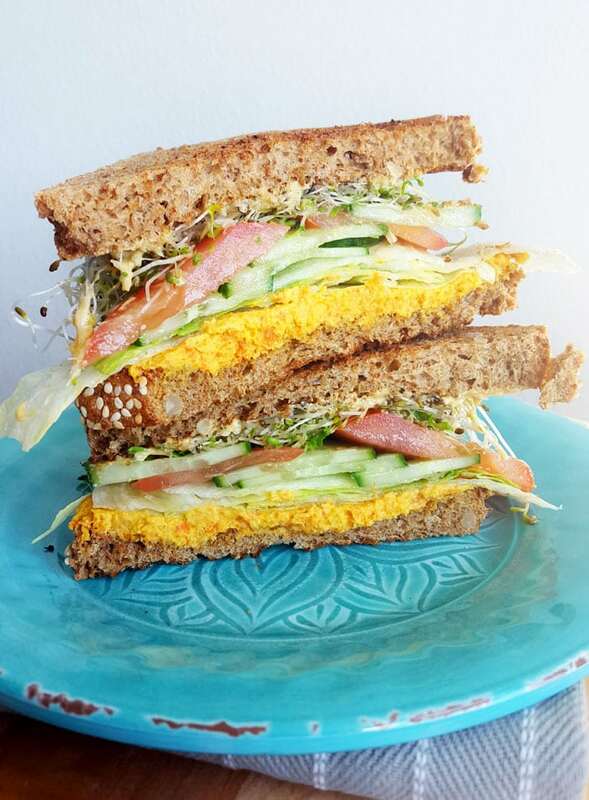 Well, looks like it’s time to hit the store for some chickpeas and carrots… this looks amazing! I’d never even thought of using hummus as a sandwich spread, so that’s something I definitely need to try now. Roasting the carrots is a good idea–it’ll add a nice flavor and texture to the hummus!